How could your entire conception of reality reshape itself if you were doomed to proceed to your death at the mercy seat (or the gallows)? How could one put an end to the self-questioning (if any committed) as the hour is about to come? The Trial of Everett Mann revolves around this question but goes beyond the ordinary in working out a guess and provokes thought on deeply philosophical subjects of fate, salvation, agony, the nature of reality and sacrifice. “You set the stage, it’s your show”. As he awaits the end, Everett Mann, an arrogant death row inmate is told, by a warden who delivers his last meal that the very torture he was going through could be overcome by playing “as if”. The mind composes one’s own mental environment and though one cannot change reality, one can pretty change how to feel about it. This initial revelation, seemingly unsatisfying compared to what such a spirit would yearn for at that minute, sets the scene for a thorough deus ex machina. The show goes on, the court that tries him doesn’t exonerate Mann. However, a stranger enters Mann’s cell and replaces him on his path to execution, offering his own life instead his after showing him grace. Asides treating, though as a side-reference, the entire issue of the justice of the death penalty –Everett Mann perfectly pictures the mental agony the death penalty entails – is an impressive tale of salvation that makes sense when read even linearly. Who is the man that replaced Mann? A savior figure cropped out of a religion? His own personal guardian angel? His higher self urged to lend a hand after Mann came to terms with his own fault? Regardless of the answer, we should remember that the stranger’s real work starts only after Mann’s letting go of arrogance and his insistence, accepting his guilt (and maybe applying the warden’s advice and succeeding though not knowing it). Shot in a historic jail and courtroom (blessed with a bona fide atmosphere in that regard), The Trial ofEverett Mann distinguishes itself also for its style – solid compositions, crisp cinematography, intriguing plays of light, smart use of music, smooth changes of ambiance and last but not least, very impressive acting. 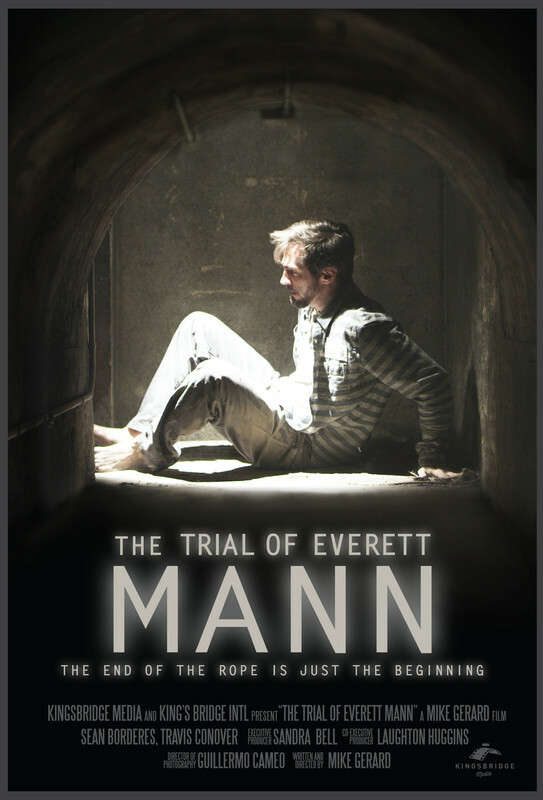 Considering its nicely knotted plot and overall success in execution, The Trial ofEverett Mann is a very good short that advertises the talent and commitment of its director, Mike Gerard.